On Sunday, Aug. 2, 2015, Opal M. Rhyne began her eternal life with her heavenly Father. A memorial service is scheduled for 2 p.m. Tuesday, Aug.
11, at First Baptist Church with Rev. Rick Sullivan officiating. Opal was born May 15, 1928, in Hope, the daughter of James and Eva (Jones) Stephens. She was the third born of six children. She was owner and operator of Fashion Cleaners for 53 years. She always said she had taken most of the town to the cleaners. Through Opal’s many years of life, she was extremely active in the community. She was a member of First Baptist Church. She was the oldest living active member of the Altrusa Club in Artesia and helped launch the Altrusa Smorgasbord in 1963, working with that project for 50 years before her health kept her from participating last year. She was famous for her homemade pies, and those were auctioned off at the end of every smorgasbord to add money to the coffers designated for Altrusa service projects. Whenever anyone needed a pie for a special occasion, they would call on Opal. She was also very active with the Business and Professional Women, Artesia Businessmen’s Association, and was a founding member of The People’s Commission for Criminal Justice, which made significant contributions in seeking justice for victims of violent crime. She also lobbied in Santa Fe for interests dear to the hearts of Artesians. Opal was known as Mrs.
Santa Claus for many years. She operated the Community Santa Claus project, where she spent many evening hours and weekends with other volunteers cleaning and repairing toys to give to the more unfortunate children of the community. 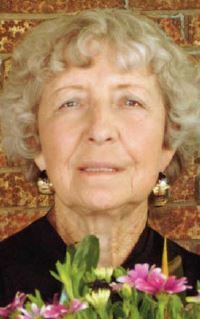 She received many awards during her life, several for her paintings and community service. She was also instrumental in assisting the City of Artesia in establishing the College of Artesia in 1966. She served as a friend and mentor for many of those college students until the college closed its doors in 1973. The final award, and one of her proudest achievements, was being selected as a Living Treasure in 2013 by the Artesia Historical Museum and Art Center Foundation. Survivors include her daughters, Cynthia Sheffield and companion Dr. Tim Renk of Albuquerque and Sandy Pierson and husband Greg of Hagerman; sisters Alice George of Clarksville, Ark., and Laverne Miller of Las Vegas, Nev.; brother Ray Stephens of Hagerman; six grandchildren, Scott Speir and wife Yoly, Sean Speir and fiancée Trisha Rhynes, Jared Mueller and wife Janelle, Jake Mueller, Justin Mueller, and Lindsey Sheffield and girlfriend Alexandria Berridge; two great-grandchildren, Sandra and James Mueller; and many nephews and nieces. She was preceded in death by her parents; brother James Stephens; sister Ann Miller; and granddaughter Suzanne Pierson. In lieu of flowers, the family suggests memorial contributions be made to the Altrusa Club of Artesia or a charity of choice. Arrangements are under the direction of Terpening & Son Mortuary. Condolences may be expressed online at http://www.artesiafunerals.